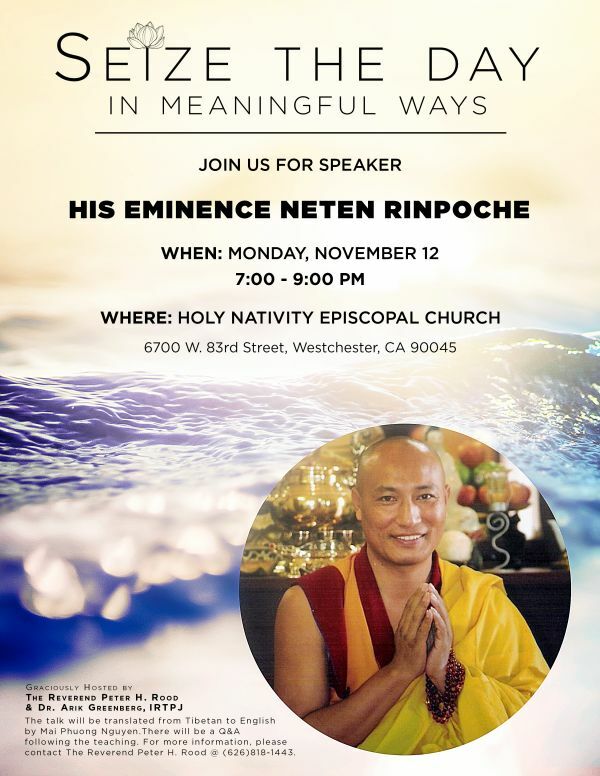 Join us for an evening with His Eminence Neten Rinpoche, an internationally renowned master of Tibetan Buddhism and the founder of Jungpa Monastery in Lithang, Tibet. He was recognized by His Holiness the 14th Dalai Lama. Neten Rinpoche has taught at the Sera Mey Monastery and Gyumed Tantric Monastery, India. He travels extensively in Canada, USA & Europe speaking on the teachings of the Buddha. We hope you'll join us for this special opportunity to hear him speak.